This cooler weather has me wanting to do nothing more than cuddle up with a good book, and never get out of the bed. Our new mattress, sheets, and comforter from Tomorrow Sleep seriously do not change that craving whatsoever. As long as Andre and I have lived together (almost eight years), we have never had a mattress this comfortable. 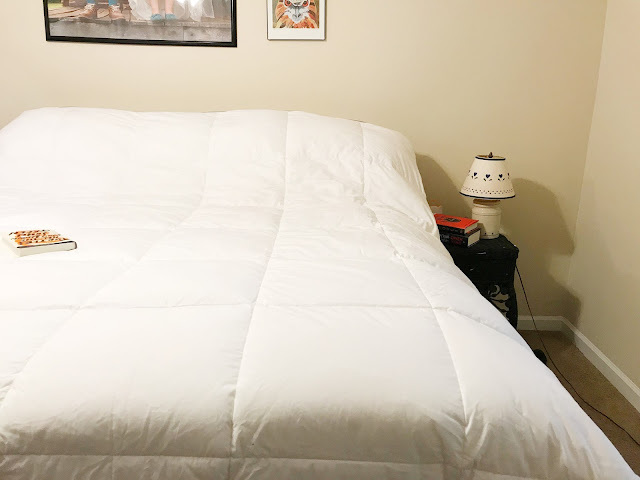 Not to mention the sheets and down alternative comforter keep you cool all night (while also keeping your warm!). I'll be honest, we just got a new mattress last year for Christmas (shout out, mom and dad! ), which was fine, especially with an eggshell memory foam on top. Since the set we already had was fairly new, and our bed is on a basic metal bed frame, we opted to toss our new "mattress in a box" on top of our current set. It seems silly, but it creates a ton of height, which honestly makes the whole room seem so much more luxurious. We also finally got around to hanging some items in the bedroom. We've lived in our home for over a year, but nothing has been hung up into our bedroom until just recently. 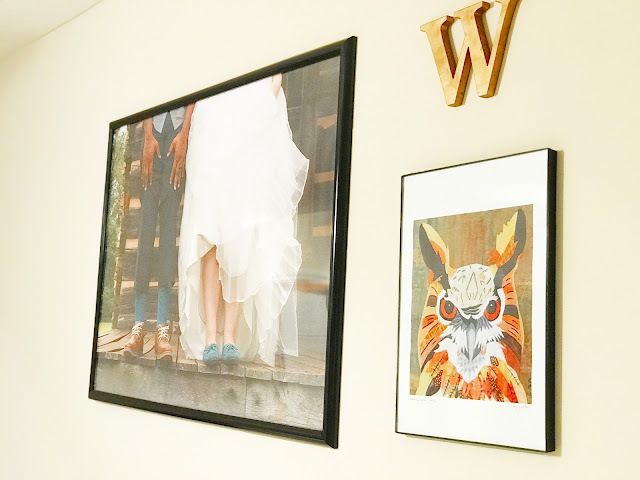 We ordered one of our favorite wedding pictures in poster form from Mpix to hang in a $5 thrifted poster frame. The owl print we bought directly from the artist in Asheville's art district, and the W is a spray-painted wooden craft store initial. 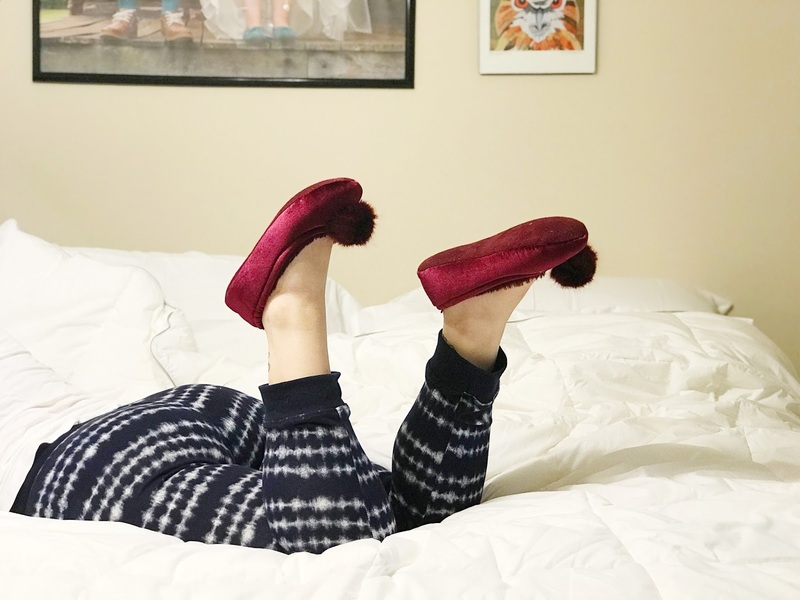 You can use code PAPER100 at Tomorrow Sleep for $100 off any $500 purchase. 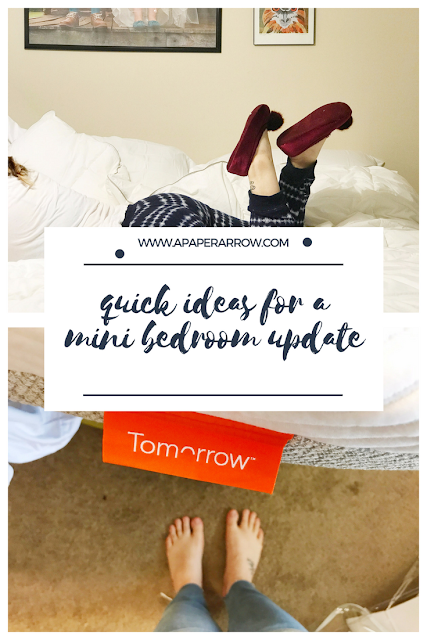 What little things do you do to update a room in your home? 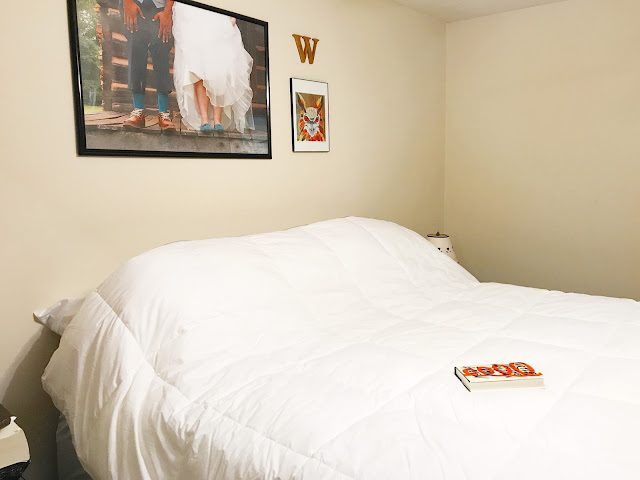 Thank you to Tomorrow Sleep for providing a complimentary mattress, sheet set, and down alternative comforter in exchange for an honest review. All opinions, as always, are 100% my own.